On its new route, Carnival Elation will depart Thursdays on three-day cruises to Ensenada, providing a value-packed long weekend getaway. Four-day cruises will depart Sundays and visit two ports, Ensenada and Catalina Island. Carnival has offered a similar, highly successful program from Southern California for a number of years, currently on the Carnival Paradise based in Long Beach, with those departures occurring on Fridays and Mondays. “Between the two ships, consumers will have a choice of two very popular departure points, Long Beach and San Diego, as well as four different departure days each week to select from,” said Terry Thornton, Carnival’s senior vice president of marketing planning. 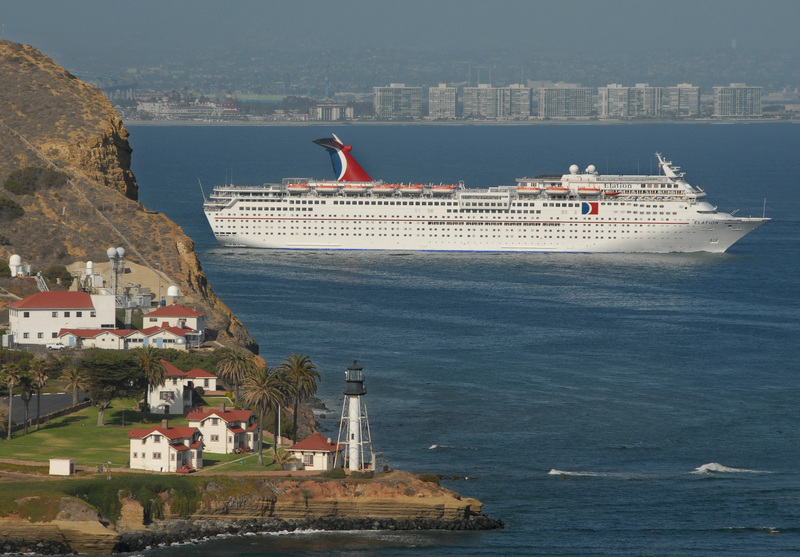 “These will be the only ships in the Southern California market offering three and four-day cruises starting in 2009, and with short getaways currently a trend among North American consumers, combined with the inherent value of a cruise, these voyages represent an extremely desirable vacation choice,” he added. Carnival, which is the West Coast’s largest, most popular cruise line, also offers longer length voyages from Southern California. The Carnival Pride operates seven-day Mexican Riviera cruises from Long Beach year-round (to be replaced by the new Carnival Splendor in March 2009) and the Carnival Spirit offers seasonal eight-day Mexican Riviera voyages from San Diego. Part of Carnival’s highly successful Fantasy class, the 70,000-ton Carnival Elation features 12 lounges and bars, including a multi-level theater showcasing lavish revues, a 12,000-square-foot health and wellness center, full casino gambling, and a wide range of full-service and casual dining options. Family-friendly amenities include organized programs for children in three age groups – “Camp Carnival” for ages 2-11, “Circle C” for 12- to 14-year-olds, and “Club O2” for older teens – all with facilities, activities and staff for each. Carnival Elation also features three swimming pools, a 115-foot-long water slide, a one-eighth-mile jogging track and a variety of stateroom categories, each offering the Carnival Comfort Bed sleep system with plush mattresses, luxurious duvets and high quality linens and pillows. Cell phone service and ship-wide Wi-Fi access are available, as well. Reservations are currently being accepted for the Carnival Elation’s new three- and four-day cruises from San Diego. Special rates for third and fourth guests sailing in the same stateroom, along with round-trip air supplements from a variety of North American gateways, are also available. What a shame. That was one of my favorite cruises and was looking forward to doing it again. I have never wanted to go to Ensenada or Catalina but knew if I had wanted to I had an option out of Los Angeles. This really doesn’t make sense. My family and I just returned from a 5 day trip on the Elation. We live in Southern CA and are platinum members who have visited Baja Mx MANY times. We chose the 5 day cruise specifically because of the stop in Cabo San Lucas. We like Ensenada but are really tired of Catalina Island so this seemed like a perfect choice. It was terrific to be on vacation for an extra day (we usually take the 4 day trips) and it was especially nice to go to Cabo which we enjoy very much. However, I just read that Carnival has decided to change the itinerary on the Elation beginning in February 2009 to the same BORING Ensenada/Catalina Island itinerary and to minimize the number of days. WHY?!!!!!!!!! Just when the people on the west coast had a little bit of variety Carnival decides to take it away and give us the “same ‘ol thing”. Carnival needs to understand that people on the west coast want to cruise nearby but need MORE OPTIONS than the typical Ensenada/Catalina visits. I understand that fuel costs are rising so is this the reason for the change? After all, we are paying a fuel surcharge. I’d like an executive at Carnival to explain this one to this platinum member and her platinum family members. This is crazy. Ensenada is not an exciting port to visit but Cabo San Lucus is. I have been on 7 Mexican Baja and Riveria cruises and I am so excited to be on the 5 day cruise to Cabo(10/13/08). DON”T take this off the schedule as I was going to book this cruise next year for my son who will be turning 21! It is silly to have two ships going to the same ports at the same time. I love the fact I can take a fun cruise out of San Diego. Why would Carnival stop it’s 5-day cruises from San Diego to Cabo? Cabo San Lucas is a real highlight of the mexican riviera. Those that cannot spend the money or time on a 7-day cruise we’re able to get a little taste with the 5-day cruise aboard the Elation. I think Carnival is making a poor choice….luckily for me I’m booked on one of the elations last trips to Cabo on 2/2/2009.